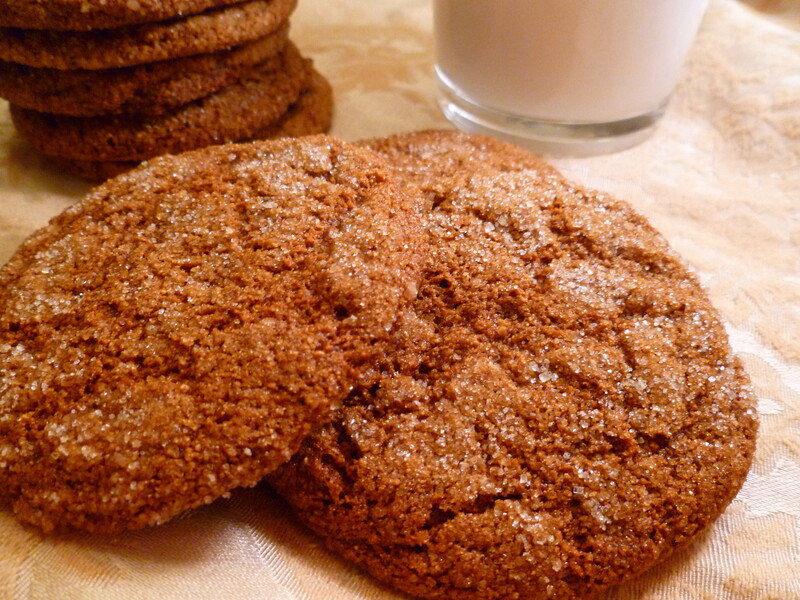 These have lots of molasses in them which make them taste like a flavor combination of gingersnaps and molasses cookies. Now what can be better than that? In a large bowl, cream together the butter and 1 1/2 cups of sugar until smooth. 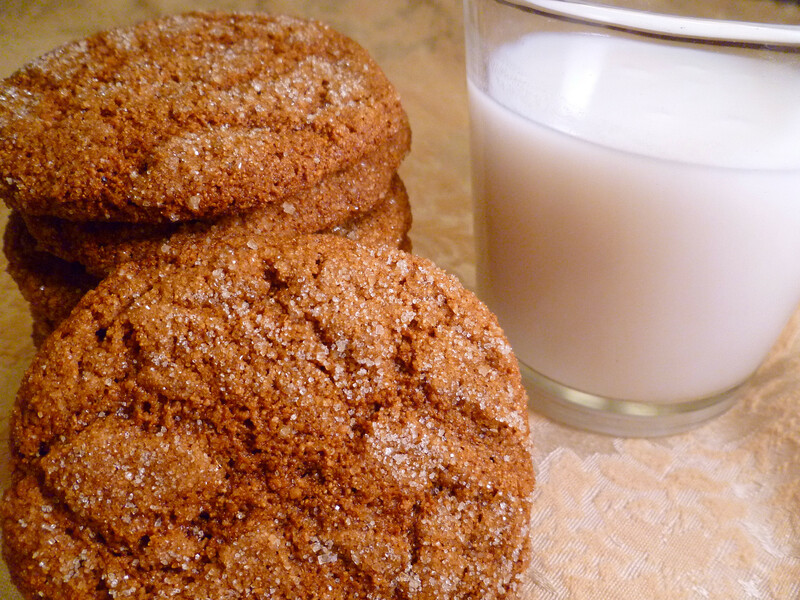 Mix in flax seed mixture, and then the molasses. In a separate bowl, combine the whole wheat flour, baking soda, baking powder, ginger, nutmeg, cinnamon, cloves, and allspice, heaping the measures if you like a lot of spice. Stir the dry ingredients into the molasses mixture just until blended. Be careful not to overmix or cookies will turn out tough. Some flour streaks are okay. Bake for 10 minutes in the preheated oven, until the tops are cracked. Bake longer for crispy cookies.. Cool on wire racks. When completely cool, store in a Ziplock back or airtight container. Footnotes: If you’re the impatient sort (like me), you don’t have to put the dough in the fridge but they are pretty sticky to work. You can add a bit more flour (about 1/8- 1/4 cup, be careful not to mix too much) to the dough. The dough will still be very sticky and almost impossible to roll into balls. What I do is pick up about the right amount to make a small ball, lightly shape them with my fingers into a ball-like shape as much as possible, then plop it into the sugar decoration bowl, lightly rolling. The rolling may end up more of a pick up, then place it back down type of movement. Once the ball has sugar all around it you can shape it more into a ball then place it on the cookie sheet. You’ll need to handle the dough delicately as it will be soft and sticky but this method does work and I get the cookies you see in the picture.